PBS Frontline/Drug Lord: The Legend of ShortyEl Chapo’s mother, Consuelo Loera. On Saturday, 150 heavily armed men stormed into the community of La Tuna, the home of Joaquin “El Chapo” Guzmán’s mother in Mexico’s Sinaloa state, looting homes and leaving multiple people dead in what may be a salvo in a nascent cartel war. Local new site Riodoce reports that as many as eight people were killed in the raid, but neither site could confirm the number of deaths. 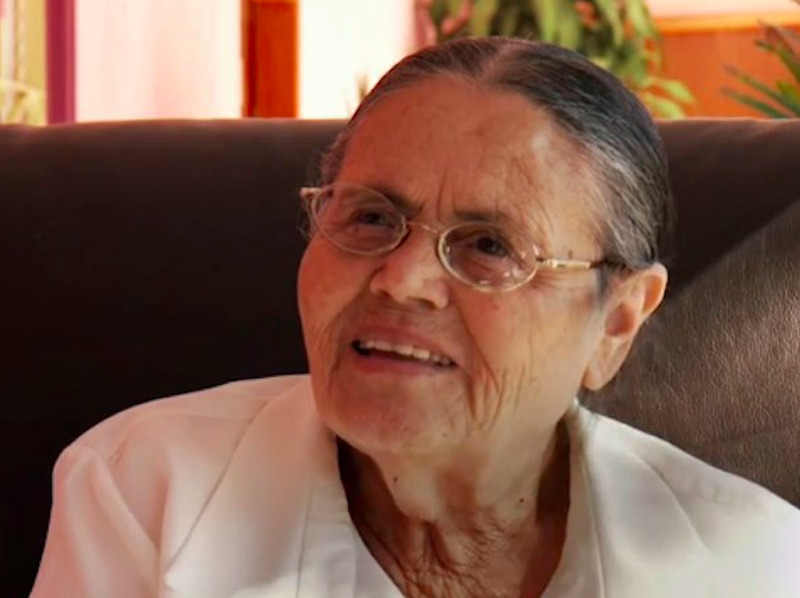 The raiding party also sacked the home of Consuelo Loera, the mother of “El Chapo” Guzmán, who lives in a house built by Guzmán in the community where he was born, which sits in the middle of the Golden Triangle, an area of heavy drug production solidly in the control of his cartel. They took two vehicles called Razers and at least three all-terrain motorcycles and cut telephone and internet lines. 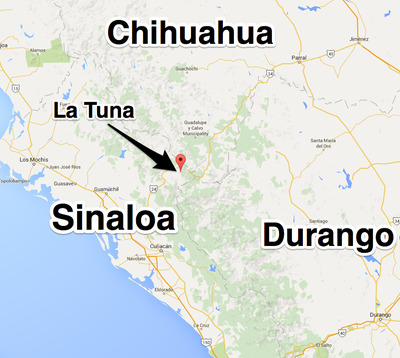 Google MapsLa Tuna, the community where ‘El Chapo’ Guzmán’s mother lives, is in western Sinaloa state. 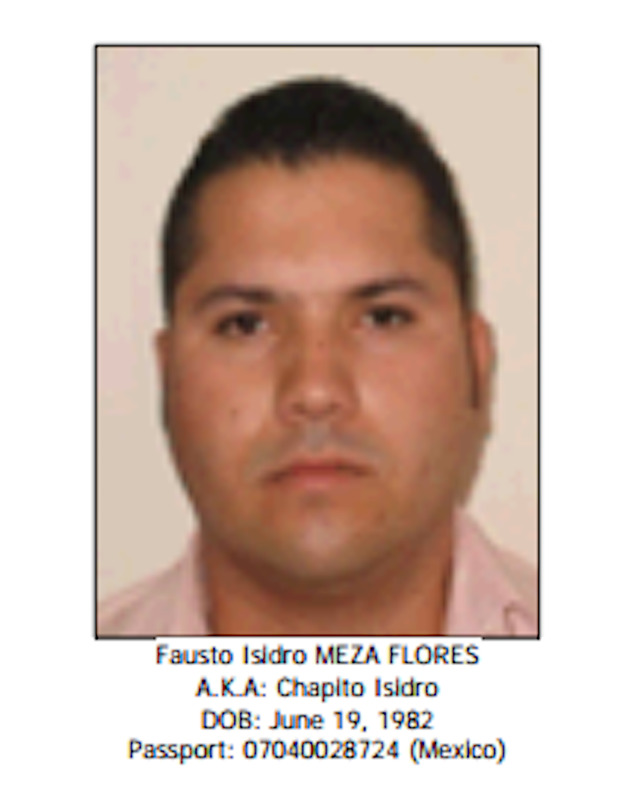 The US government has considered Chapito Isidro a large-scale trafficker since 2000, running his operations out of Guasave, in northern Sinaloa state. When the BLO and “El Chapo” Guzmán’s Sinaloa cartel split in 2008, Chapito Isidro remained with the BLO, acting as a high-level hit man and leading a group called “Mazatlecos,” according to Insight Crime. Chapito Isidro is also believed to head a group called “Oficina,” consisting of members of the Familia Michoacana, the Zetas, the Gulf cartel, and the BLO. The Oficina operates in Baja California Sur, according to Insight Crime, a state adjacent to Sinaloa were Guzmán’s cartel has a considerable presence. 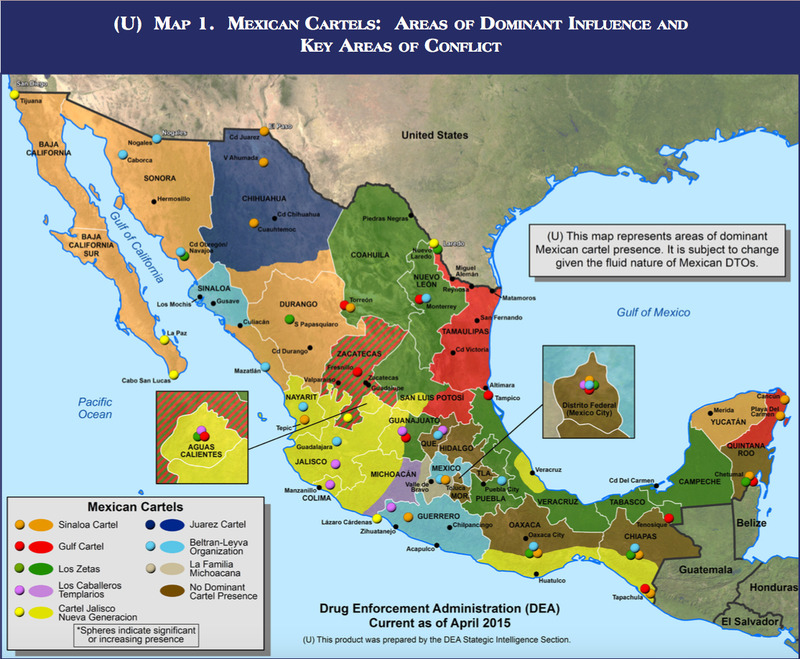 2015 US DEA NDTAThe Sinaloa cartel has a dominant presence in northwest Mexico, though the BLO maintains an enclave in Sinaloa state. In early 2013, the US Treasury Department’s Office of Foreign Asset Control designated the Meza Fores Drug Trafficking Organisation, made up of Chapito Isidro, several family members, and three companies, under the Foreign Narcotics Kingpin Act. The Meza Flores DTO, the Treasury Department said, “has been responsible for the distribution of large quantities of methamphetamine, heroin, marijuana, and cocaine to the United States” since 2000. US Department of the TreasuryFausto Isidro Meza Flores, a Mexican trafficker believed to lead a organisation called Mazatlecos. Based in Guasave, Chapito Isidro’s group has a strong grip on northern Sinaloa state. Banners taunting Guzmán for his inability to take control of the area have appeared in Guasave as long ago as 2011. 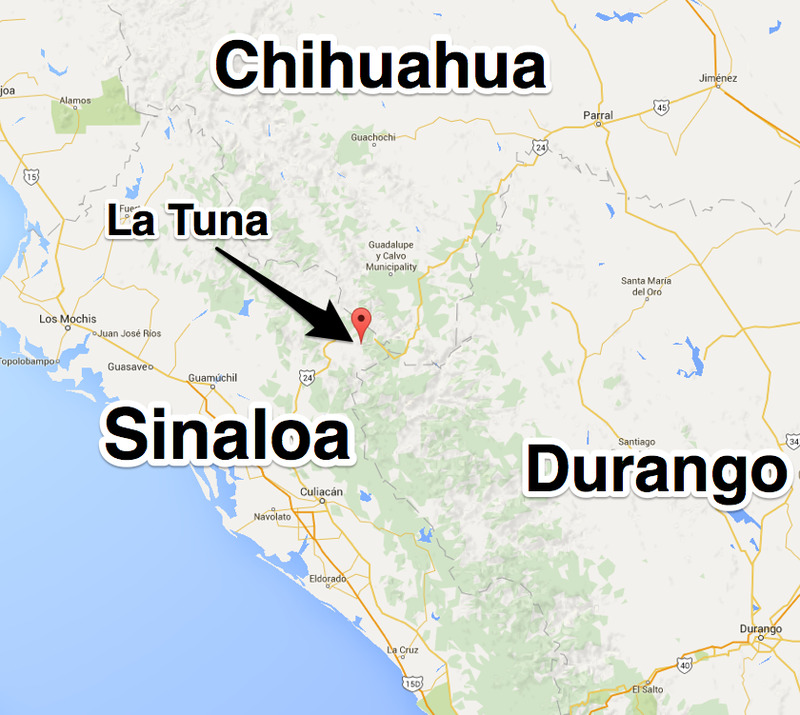 According to the latest National Drug Threat Assessment from the US Drug Enforcement Administration, the BLO — wracked by infighting and fragmentation in recent years — has maintained an enclave in northern Sinaloa, where Chapito Isidro is presumably in control. A raid by Chapito Isidro’s Mazatlecos on Guzmán’s hometown may be a sign that a struggle for control of lucrative drug-cultivation and trafficking territory in Sinaloa could be in the offing. 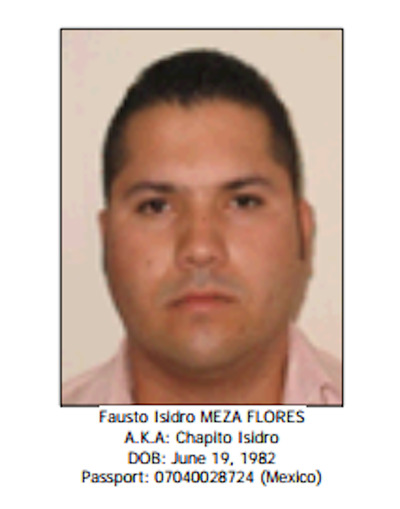 While Chapito Isidro has been a figure on the drug scene since the 1990s, he is believed to be younger than the current Sinaloa cartel leadership. With Guzmán imprisoned and other Sinaloa cartel leaders ageing, Chapito Isidro may have decided the time is right to expand his territory.